Portuguese rally ace Bruno Magalhaes and his brother Hugo as a navigator won the 64th Acropolis Rally in Greece, the third round of the 2018 European Rally Championship. It’s the first win of the season for a pair in the #2 Škoda Fabia R5. In a rough gravel rally with more than 237 kilometers of special stages, Magalhaes brothers defeated the Hungarian pair Norbert Herczig/Ramon Ferencz in another Škoda Fabia by 29 seconds. Škoda Fabia R5 was also a race car of the third-placed crew, Hubert Ptaszek and Maciej Szczepaniak from Poland. The Russian driver Alexey Lukyanuk (#1 Ford Fiesta R5), who won the first two championship events, showed the most impressive performance over three days on the Greek gravel roads but his speed was not enough. He had a massive advantage over Magalhaes but crashed out on Saturday morning. 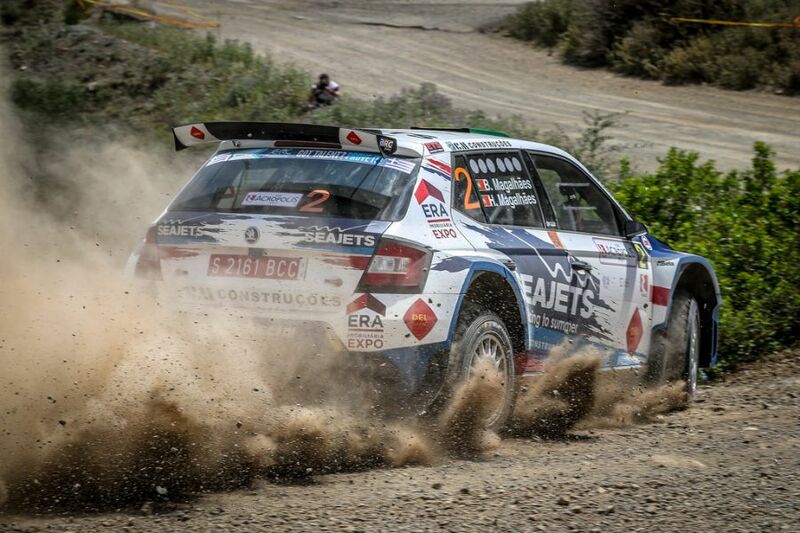 He restarted on Sunday morning and won three out of four special stages on the last day.